With an exceptional level of professionalism, customer service and friendliness, it’s no surprise that for thousands of homeowners who need residential window cleaning, Brisbane Window & Solar Panel Cleaning is their first choice. As the highest rated window, gutter and solar panel cleaning company in Australia we have worked hard to become a company that you can depend on to undertake the work to the highest possible standards. Read our reviews here. We offer internal and external residential window cleaning services in Brisbane and surrounds, using either the tried and tested squeegee, ladder and hard work methods or via our water fed pole system which cleans up to five levels high without our team ever leaving the ground, to ensure all of your window cleaning needs are met at a the best price in Brisbane. In addition, we can clean your flyscreens, mirrors, glass balconies, gutters, solar panels and glass pool fences. Our experienced team of professional window cleaners are experts in cleaning those ‘tricky’ and hard-to-get-at windows: lights, attics, atrium ceilings, sloping glass, stairwells and skylights to name a few. If you have recently completed building, painting or renovating your home, we can provide a ‘builder’s clean’, removing paint and building residue before proceeding with window cleaning. We provide all our domestic customers with either an email or SMS reminder service (monthly, quarterly, half yearly or annually) so that you don’t have to remember to arrange your next clean. Combined with great prices, automated invoicing, convenient timing and call centre support, your satisfaction is all but guaranteed. The Brisbane Window & Solar Panel Cleaning team are all fully insured for Public Liability up to $20,000,000 and all our employees have Work Cover insurance. Find out more about what Commercial Window Cleaning Brisbane can do for you. Brisbane Window & Solar Panel Cleaning happily services various commercial properties in all shapes and sizes all around Brisbane – including offices, shops, schools and hospitals just to name a few. Whatever your needs may be, we have the perfect solution to suit your needs and budget. 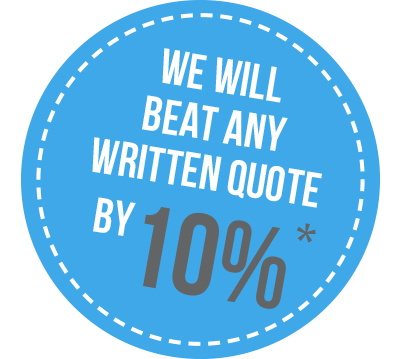 Regardless of the type and size of your business, the first step is for us to chat with you and create a quote specific to your property. This can be done via our support call centre who may arrange a quick onsite visit from one of our friendly and professional team members. Your tailored quote will contain all aspects of the Brisbane window cleaning service you require, as well as a brief outline of our suggested methods to undertake the work to obtain the highest quality results in the minimum time and price. On acceptance of your quote, we will agree upon a time that is suitable to your business including weekends, for us to complete the window cleaning, solar panel cleaning or gutter cleaning with the minimum interruption to your operations. Wherever possible, this will be done outside your normal business hours at your work premises in Brisbane. Our team are fully trained and equipped to safely clean your commercial property, regardless of its size or layout. Depending on your building, your cleaning job may require specific cleaning equipment – extension poles, high ladders or even our on-board Water Fed Pole or Pure Water cleaning equipment to reach otherwise inaccessible windows. Based on your requirements, we may use lift equipment. There is no job too big nor too small for Brisbane Window and Solar Panel Cleaning. Find out more about what Shop Front Window Cleaning can do for your Brisbane business. Each week, we provide shop front window cleaning services for hundreds of retail outlets within most of Brisbane’s major shopping precincts. These shops are professionally cleaned on a weekly, fortnightly, monthly or ADHOC schedule to ensure that your customers’ initial impression of your business is the best it can be. Typically, we carry out shop front window cleaning in Brisbane’s retail environments well before or after opening hours so as not to inconvenience you or your customers. With our outstanding level of professionalism, customer service and friendliness, hundreds of property owners’ organisations trust Brisbane Window & Solar Panel Cleaning to carry out body corporate window cleaning, solar panel cleaning and gutter cleaning and help keep their properties well-maintained. We build a reliable maintenance program to meet and exceed your body corporate cleaning needs (e.g. quarterly, half-yearly or annually) so you don’t have to deal with the hassle and expense of ‘one-off’ cleans. With our highly advanced technology including email and SMS notifications, we can advise your members when the building is due for a body corporate window clean and when they have been cleaned either via email, SMS or postal notification – all included in the price. We can also perform a ‘one-off’ body corporate window clean required on completion of building works or renovations before the changeover of tenants or before the sale of the property. We always supply our professionals with the right window cleaning equipment for the job. With flexible invoicing options and terms, payment is also much easier when you choose to do your body corporate window cleaning with Brisbane Window & Solar Panel Cleaning. So what are you waiting for? Contact our Professional Window Cleaning Team now to get your windows, solar panels and gutters crystal clean!